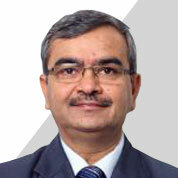 Mr. Mathur has more than thirty years of experience in automotive industry. He has worked for Multinational large automotive companies on various Regional & Global assignments for most of his career. Prior to joining Hero MotoCorp in 2009, he has worked with leading automotive companies including M/s Escorts Yamaha Limited, M/s Maruti Suzuki India Limited, General Motors and Delphi Corporation. Mr. Mathur is responsible for purchase of over $ 4.0 Billion for the world largest two wheeler manufacturer and leads a team of over 250 professionals covering Strategic Sourcing, Inbound logistics, Supplier Development, Supplier Relationship Management, Vendor Up gradation and Materials Management. He is also responsible for developing new alliances with global suppliers to enhance Hero MotoCorp’s strategic sourcing proposition. Mr Mathur is a mature and experienced Strategic Sourcing & Supply Chain Management professional with broad international experience who fits well into many different diverse cultures both professionally and personally. He is well respected for his "down to earth" get things done attitude, uncompromising integrity, love of diversity and fun attitude. Mr. Mathur is well travelled from both business and personal perspective in Asia, North America, Mexico & Europe. Mr. Mathur is a BE in Mechanical Engineering from Delhi College of Engineering.